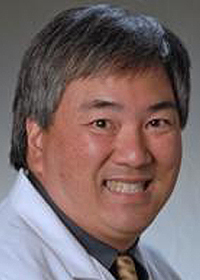 Ronald Loo, MD – chair of Kaiser Permanente’s Inter-Regional Chiefs of Urology and co-lead of Kaiser Permanente’s Health Innovation Team – speaks about a cost-saving equipment sharing program that he helped pioneer in a Healthcare Finance News story published this month. In the article, “How Kaiser Permanente saved $8.6 million sharing medical equipment and reimagined asset management,” Dr. Loo of the Southern California Permanente Medical Group says the idea emerged about 10 years ago when Kaiser Permanente was opening a procedure center that needed a new machine. After some research, Loo learned that there were sister centers renting the same piece of equipment. The discovery inspired Loo to devise a system for purchasing and sharing one machine across centers. The pilot project – nicknamed the “Loo-Haul” – generated half a million dollars in savings in its first year. After the pilot project’s success, Kaiser Permanente grew the program and structured it similarly to Amazon Prime in that physicians could go into a system and order equipment for a specific day and care center. In addition to generating savings, the program also provides valuable data on equipment usage. Read the entire article on the Healthcare Finance News website.